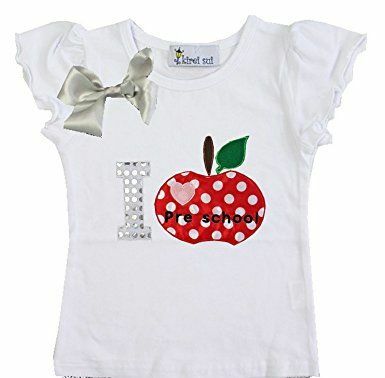 Great for pre-school photos or first day of school. 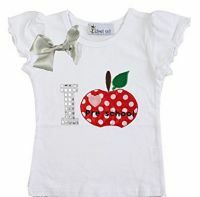 Two lovely silver bows on this gorgeous tshirt. Size 110 which generally suits kids aged 3 - 4 years .